T-shirts are a wardrobe staple and can be worn in various ways while remaining fashionable. However, if T-shirts are that awesome, then why wouldn’t every individual have comfortable T-shirts in their wardrobe? This can be due to the fact that quality T-shirts are often pricey or the fabric has a short lifespan. Nevertheless, the team at Buttonwell is out to shake up the T-shirt industry. They are out to provide the wardrobe basics made with the finest fabrics, with no crazy markups. They launched Buttonwell with their wonderfully soft T-shirt collection, made from the world’s finest cottons, SUPIMA cotton sourced all the way from California. Buttonwell’s T-shirt collection is crafted from scratch using 100% certified SUPIMA cotton from California. 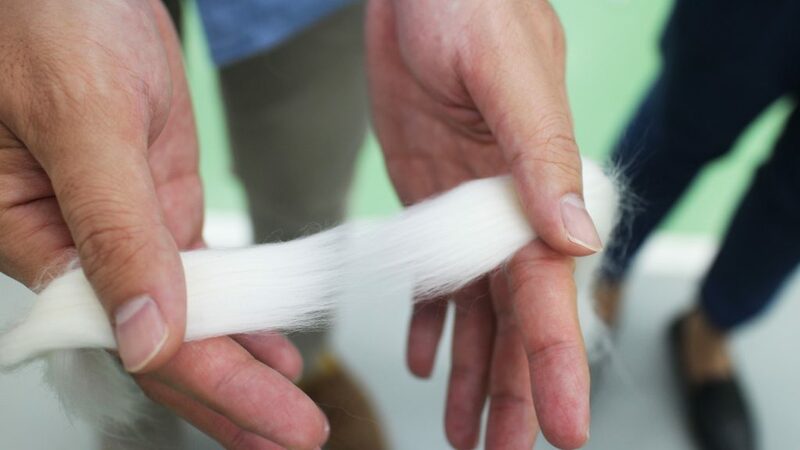 Better known as the cashmere of cotton, it is exceptionally rare as it makes up only 1% of the cotton worldwide. Its extra-long fiber makes the fabric softer, smoother and more durable than regular cotton or cotton blends. They didn’t stop at just using the best raw materials. After many rounds of prototyping, they took the T-shirts a notch higher by making the fabric heftier, with more fitted cutting. Therefore creating more premium T-shirts that are suitable for work and play. Shoppers can purchase Buttonwell T-shirts directly from their online store www.buttonwell.com. They are available in 6 colours for men and women – Jet Black, Signature White, Rubine Red, Dusty Pink, Navy Blue and Serenity Blue. The founders, Kar Jun and How Khiam, wondered why the simplest clothing costs so much. They found out what people paid for clothes did not match what they cost. The fashion industry is actually filled with sub-par quality products and high markups due to costs from middlemen, traditional marketing and operating physical stores. Hence, Buttonwell was founded to change that. They want to step away from the fashion hype, get back to basics, and offer high quality everyday essentials, made from the best raw materials, with fair markups. Ultimately, they want to stay true to their belief, which is to make high quality, timeless wardrobe essentials more accessible. Hence, sourcing for the world’s finest fabrics and finding the best fabric factories is their perpetual endeavour. They look to increase the variety of collections that Buttonwell can offer, all while keeping the prices friendly to the shoppers. Their plan is to launch more collections – by increasing the number of styles using SUPIMA cotton, as well as expanding the types of fabrics. In the long run, they hope the brand would be associated with quality and trust. They want to be top of mind for shoppers when it comes to shopping for high quality wardrobe basics. Furthermore, they value shopper’s feedback. They constantly seek for opportunities to speak directly to our shoppers and we are glad to have received valuable insights and suggestions from them. Ultimately, they hope that Buttonwell will also be able to find a place in everyone’s wardrobes. “we stay true to our brand beliefs. as a start-up, we actually don’t have the answers to many things. Hence, we always make informed decisions based data gathered and through internal discussions.then, we take a leap forward and learn from experiences. Only from repeated learning and improvement we can be better in making wiser decisions moving forward. Next articlePlatform 1094: A Harry Potter-Inspired Cafe in Singapore!